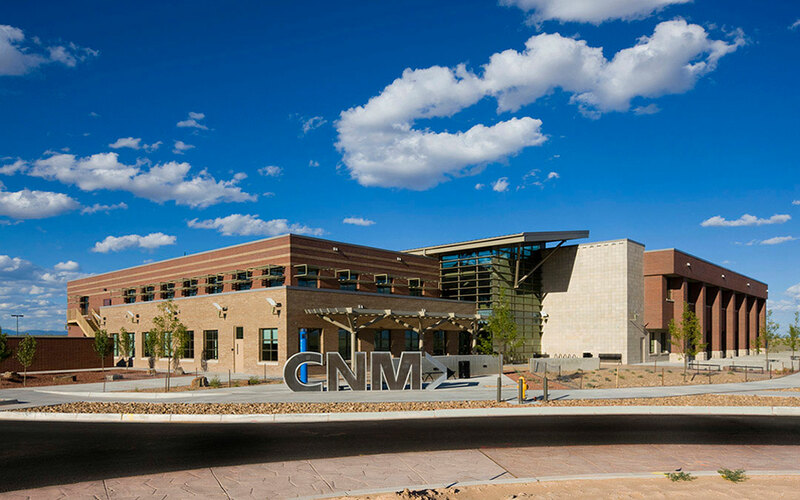 The first building of the CNM Rio Rancho campus plan, the facility conveys CNM’s long term commitment to the community for providing quality higher education. 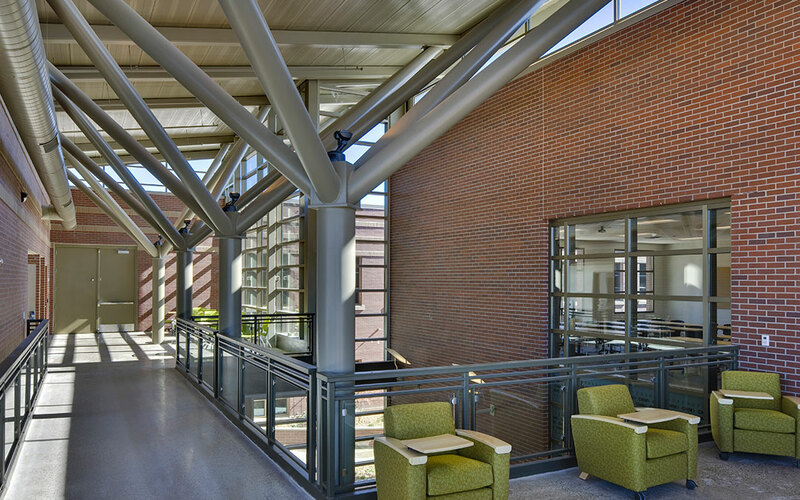 This landmark project is an instructional building offering general classes and specialized programs in nursing, biology, chemistry, and technology. 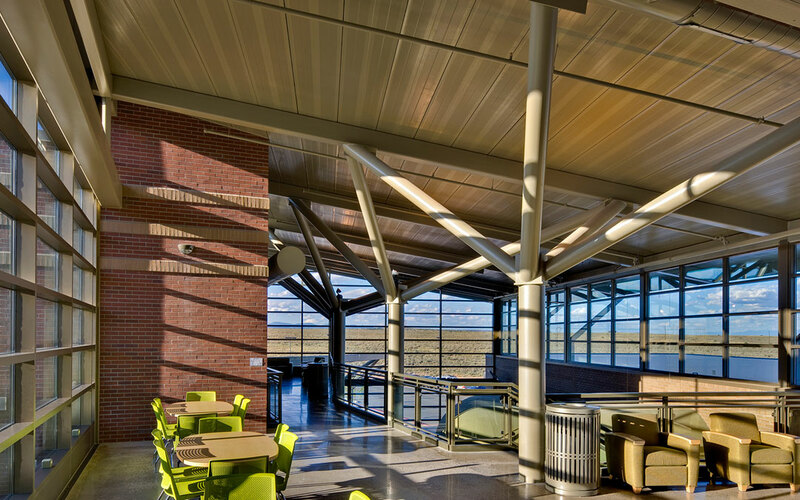 Special attention was given to the impact of construction on the environment to avoid disturbing the delicate ecosystems of this remote area. 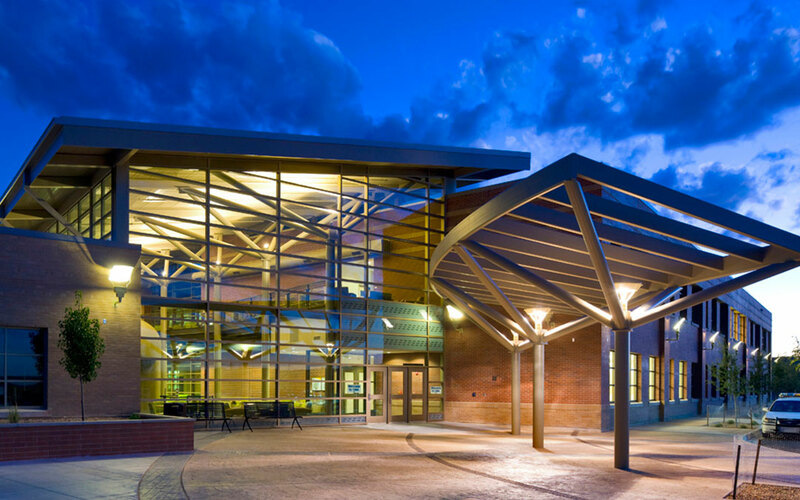 Site sensitive landscaping was selected to coordinate with the local fauna. 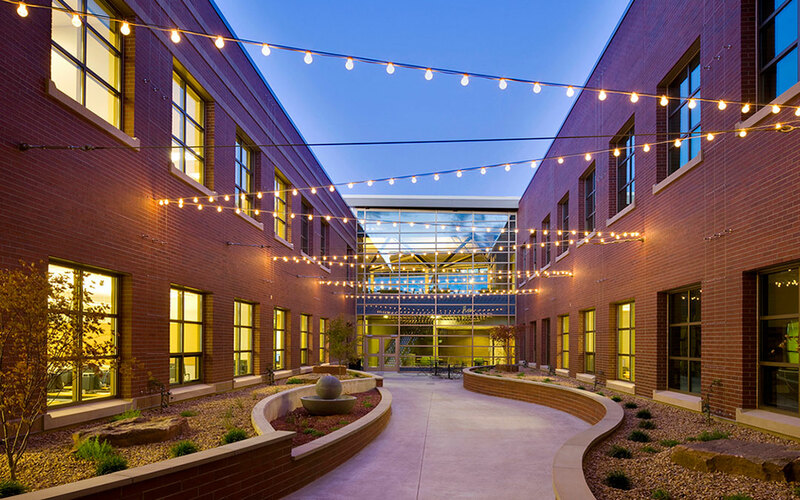 The central courtyard of the building offers a protected exterior gathering space while bringing more opportunities of bringing natural light into the classrooms. 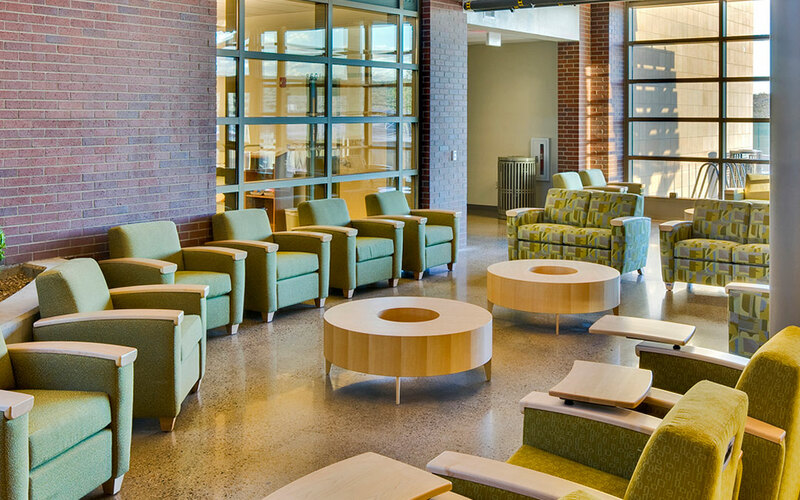 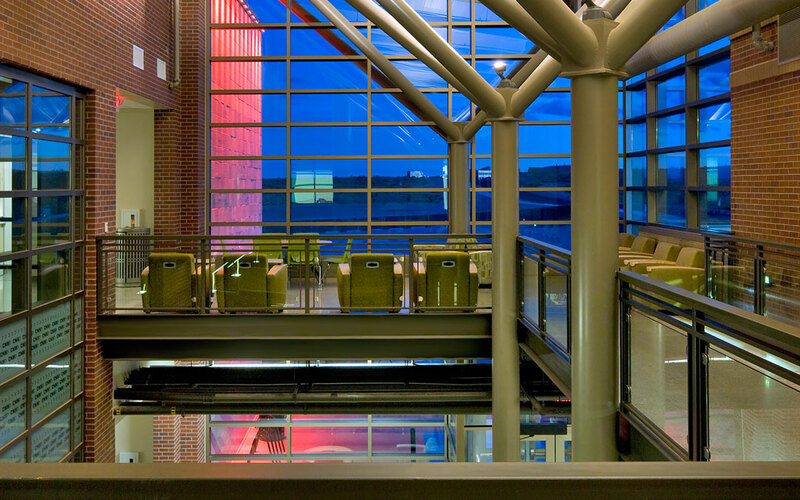 Student agility spaces offer comfortable areas of repose and tremendous views.